A year ago, a paper in the American Accounting Association journal The Accounting Review featured a surprising finding: CEOs are at increased risk of losing their jobs not only if their companies pay much more than their peers in taxes, but also if they pay much less. The authors credited legislative, regulatory, and judicial initiatives with raising public sensitivity to companies’ tax-aggressiveness, and surmised that the sharply reduced corporate tax rates under the Tax Cuts and Jobs Act would likely inhibit aggressive tax planning further. Now, a study in the current issue of the journal may very well reinforce that inhibition. The research finds that the complicated ploys that often characterize aggressive tax planning sow uncertainty and even confusion not just about companies’ taxes but about the basics of their operations and finances, with resultant negative outcomes. The authors, Jennifer Blouin and Wayne Guay of the Wharton School of the University of Pennsylvania and Karthik Balakrishnan of the London Business School, found that “tax-aggressive firms have lower corporate transparency” than less-aggressive peers. What is the evidence that tax-aggressiveness diminishes transparency? Further, the degree to which tax aggressiveness diminishes transparency can be quite considerable. If, for example, the extent of a company’s tax avoidance is among the highest in its industry/size grouping, analyst forecast errors (that is, the amount analysts err in forecasting company earnings) will be close to 25% greater than for a company whose tax avoidance is at the group’s median. And indeed, tax-aggressive managers often do take steps in that direction, according to the paper, despite the possibility that transparently disclosing the organizational details related to certain tax strategies would provide a roadmap for an audit by tax authorities. As to how effective these extra efforts are, the evidence is mixed. Tax-aggressive companies whose earnings calls are above average in length generally see significantly more accuracy in analyst forecasting than do similarly aggressive firms whose conference calls are shorter than average. In contrast, longer-than-average expositions by tax-aggressive firms in the “management discussion and analysis” sections of annual reports do not seem to enhance analyst forecasting any more than shorter ones do. Given the opacity that aggressive tax planning occasions, do corporate managers undertake it for their personal enrichment? To test that, the professors analyzed the extent to which indicators of strong company governance — such as board independence and CEO-chairman separation — are associated with enhanced transparency (as measured by analyst forecast errors) and with increased efforts at transparency (such as by lengthy discussions of management in company annual reports). The fact that no significant differences in these associations emerge between strongly and weakly governed firms suggests that personal enrichment for top management is generally not a major incentive in aggressive corporate tax planning. The study’s findings are based on 40,193 firm-years of data from U.S.-based public companies over a 14-year period. Tax aggressiveness was measured on the basis of the amount of taxes a company owed or paid compared with the average for firms of similar size in the same industry. 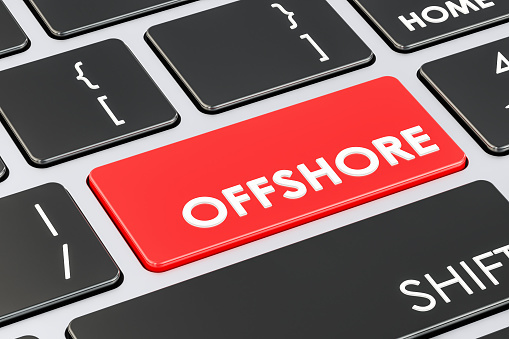 Firms carried out operations in a mean of about three locations classed as tax havens, although more than half operated in none. The study, entitled “Tax Aggressiveness and Corporate Transparency,” is in the January issue of The Accounting Review.